And now for something different, we have a Heavy Metal/ Epic Doom (or Pagan Metal) from Sweden. 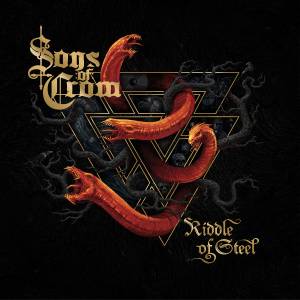 Sons of Crom with their début full-length album “Riddle of Steel”. When I read about the genre as well as the band’s name and the release, I knew it was a must listen for me. 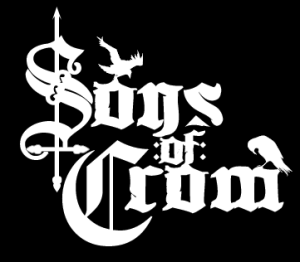 But first, some more information about the band: The Sons of Crom raised their banner for the first time in January 2014. In Haparanda, the northernmost part of Sweden, Janne Posti and Iiro Sarkki joined forces to fulfil their vision of epic metal tunes with grandiose lyrics. 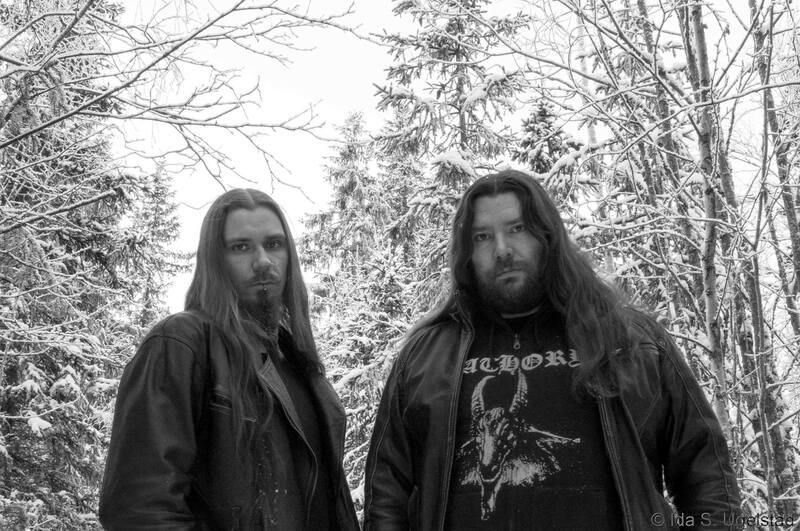 Drawing inspiration from Nordic mythology, heroic cinema and Quorthon’s undying legacy, this two-piece tour de force carries the torch of honour and glory into the murky gloom of future. 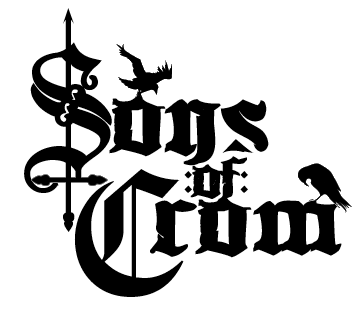 I just had to listen to this band! Fortunately I wasn’t disappointed at all, in fact, I fell in love with their sound. So beautiful, epic, powerful, I really feel like I’m in a far away/ fantasy land, but not with some cheesy words or sounds, but a release with true pride and passion. 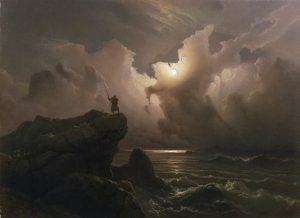 Again, as I type this review, I use review, but I prefer to say that I simply share my thoughts, I’m listening to the album one more time and I do feel that the music is taking me away from the place I’m in; there’s this sense of adventure and honor that sounds authentic, it’s unbelievable. Hell, I feel thrilled while listening to “Riddle of Steel”! Everything is so majestic and bombastic, with a very singular atmosphere; the album is, in my modest view, nothing short of amazing. 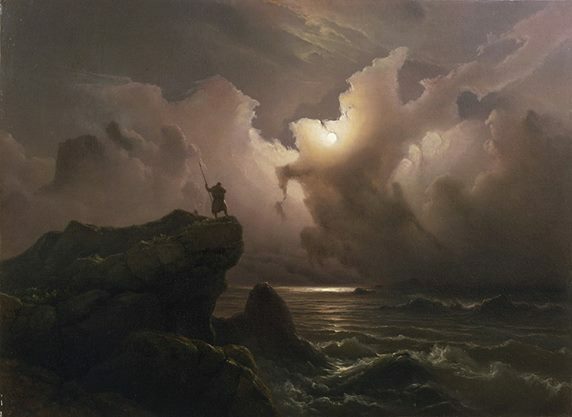 The music is so varied, filled with change of pace, calming and then fast, furious, epic, with brutal parts, acoustic folk, piano interludes, it’s indeed not only a journey for the character on the lyrics, for the listener when it comes to the atmosphere and also about the musical aspect, a true journey through many influences and musical elements. I believe I can safely say that Sons of Crom music is rich, very rich. Also, a faithful, deserved, eloquent and extraordinary tribute to the master that was Quorthon. More about the music, we have outstanding guitar solos, keyboards, and outstanding vocals, again varied, as there are several vocal styles in “Riddle of Steel”. 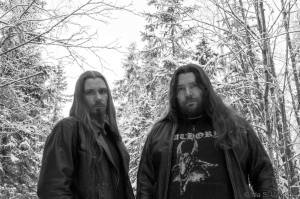 We can also “detect” Black Metal influences to Folk and Doom, all blended in the “epicness” of the band’s music. The album’s production is also to be praised, beautiful work. I simply can not understand how this band hasn’t got more and more listeners. They are creative and highly competent. These musicians put passion and enthusiasm in their music… I believe it’s unfair, they do deserve more listeners, way more. I am aware that (fortunately for them and unfortunately for those that didn’t buy at the time) their EP is already sold-out, but with such talent, they, in my humblest opinion, deserve more. And that’s what I ask of you, my friends, to, please, support this band. If you can’t purchase an album now, spread the word, all help is welcomed, I believe.